There are many different diets out there that promote weight loss, but vegetarian weight loss plans also promote good health as well. Although weight loss and good health seem to go hand in hand, those who are slim and trim due to a diet of vegetables and fruits have an advantage over the many T-Rex's out there that continue to eat meat. Numerous studies have shown time and again that people who eat a vegetarian diet, far more often than not, have a healthy BMI number and are highly unlikely to be obese (less than 6% are), or even overweight for that matter. The words “vegetarian" and "obese” don't even belong together in the same sentence. It's also well worth mentioning that the potential for various forms of cancer, as well as hypertension and heart disease also drops off dramatically for those of the vegetarian persuasion. -It all stems from one obvious, simple fact: vegetarians do not eat meat. Although a "vegetarian" is generally interpreted as someone who doesn't eat meat or fish, other types of vegetarians, such as a pescetarian (pes-ku'teh-ree-un) may still eat fish and shellfish, while vegans avoid animal products altogether, including cheese and eggs. Whichever type you choose, even if you never quite make it to 100% vegetarian, you're still making a smart and healthy choice. The best way to start vegetarian eating plans however, is to just slowly start eating less meals with meat in them. If you try to go meatless “cold turkey” (pardon the pun), you'll likely fail. A lifetime of eating meat is hard to eliminate for some, that bad fat tastes good, but it IS worth it. Once you adjust, the benefits you'll reap are more than worth your efforts. Start out going meatless 2 or 3 days a week, or whatever you're comfortable with at the beginning. A big bonus to going vegetarian is you'll find you can often eat larger portions depending on your choices. Vegetarian meals more often than not have much fewer calories due to the lower fat content, just be mindful of the dressings and drinks, etc. While on a vegetarian diet, take care to ensure your diet is well-balanced. A common concern is that vegetarians may not get enough protein. 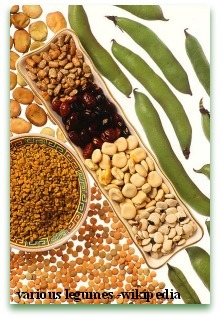 As long as you're eating plenty of legumes, (beans, peas and lentils) and soy products, you should have all the protein you need. -Most carnivores take-in far more protein than they actually need, and a very unhealthy form of protein at that. A vegetarian weight loss diet plan alone will not cause the weight to just fall off. You may have to keep track of calories and perform regular exercise if you've got some serious weight loss in mind. Health studies confirm: a vegetarian diet does indeed take the weight off, and it just may be the healthiest form of "diet plan" there is.